The American actress Alexandra Shipp, who recently appeared with Jennifer Garner and Josh Duhamel in the romantic comedy-drama Love Simon, is gaining a lot of viewer's attention in recent years. She has also made several appearances on television and has starred in the 2014 TV biographical film Aaliyah: The Princess of R&B, alongside Elise Neal. The year 2018 can be considered a busy year for Shipp as she is set to star in two movies this year. She has already finished her shoot and with that, she certainly has banked a splendid wealth about which we will be elaborating later. In this section, our foremost purpose is to know about the 26-years-old's net worth along with her earnings and salary from the renowned role of her career. Shipp's television impressions comprise her roles in the daytime soap opera Days of Our Lives, and teen comedy Awkward. Although Shipp has made a handful of appearances on the big screen, her performance has been critically praised by the viewers. Well, along with the critical success, she has also bagged a net worth of over $2 million. Likewise, for her recent appearance in Love Simon, she was rewarded $240K. 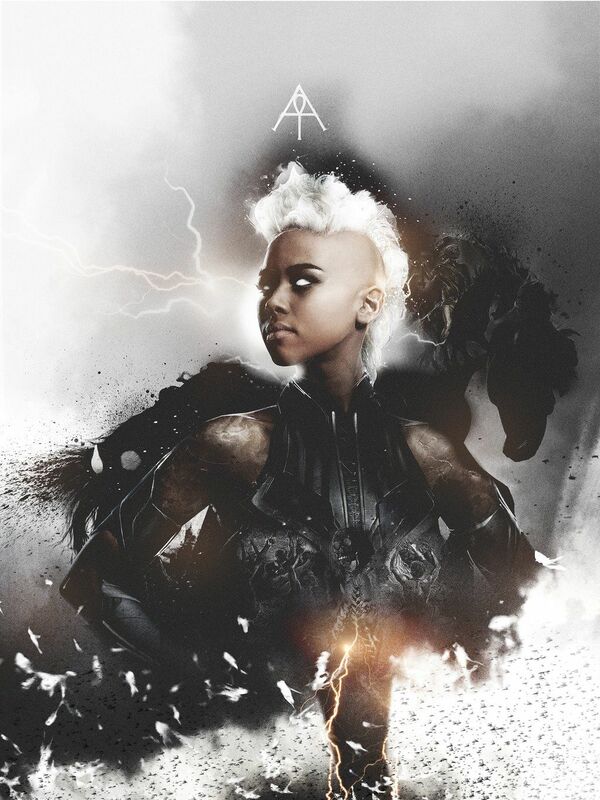 Shipp will be reprising her role in the twelfth installment of the X-Men film series and will be appearing with a group of film stars including, James McAvoy, Michael Fassbender, Jennifer Lawrence and Nicholas Hoult. The film is expected to release this year. And as the main cast, Shipp is speculated to get paid double salary than her income from past X-Men movie. Previously, she was cast in the ninth volume of X-men in 2016. For the role, she had a salary of around $100K. The 2016 installment was a huge success with a collection of $543.9 million worldwide against the budget of $178 million. Shipp was nominated for the Teen Choice Awards for her role. Furthermore, she will be also appearing with Lucy Hale and Kathryn Prescott in the upcoming comedy-drama Dude, which will air on Netflix in April this year. Likewise, she is currently on a busy schedule filming her forthcoming action comedy film Son of Shaft, which will release next year. Well, Shipp's net worth is anticipated to take a lift by the end of 2018, and there is much to see from the American beauty this year. Ship grew up in Arizona and studied at St. Mary's Catholic High School in Phoenix. At the age of 17, she moved to Los Angeles to follow her dream to become an actor and landed doing a role in the 2009 musical comedy film Alvin, and the Chipmunks. She got the spotlight after her appearance in the Vh1's TV film sequel, Drumline: A New Beat. Similarly, she appeared in a title role in Lifetime's TV film Aaliyah followed by her role in the bio-drama Straight Outta Compton as Ice Cube's wife. Stay tuned to Frostsnow for updates on net worth and salaries of celebrities as well as their lifestyle along with houses and cars.